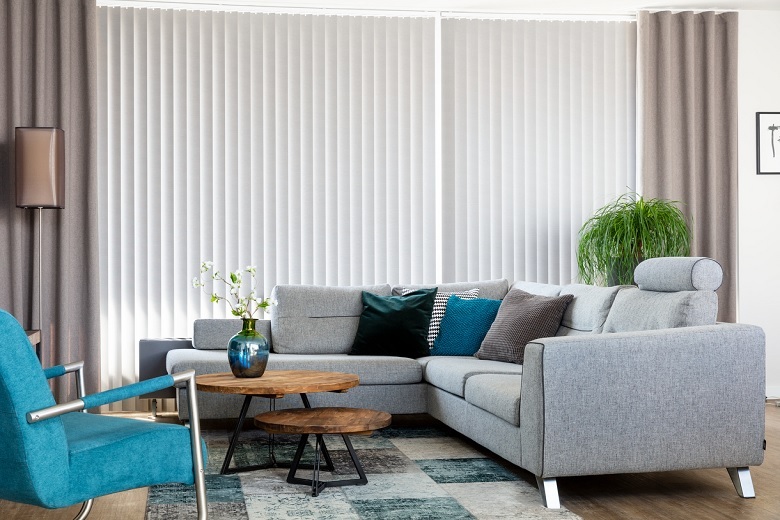 JASNO swings, a unique type of vertical louver blind, are atmosphere-enhancing and practical window covering suitable for use in windows in the living room, kitchen or office, etc. They also make an excellent room divider. The unique feature of our swings is that the louvers can be set at different angles. The louvers are alternately set in motion, with a single chain. The result is an attractive, harmonious and eye-catching 3D effect. Playing with light just became even more fun! 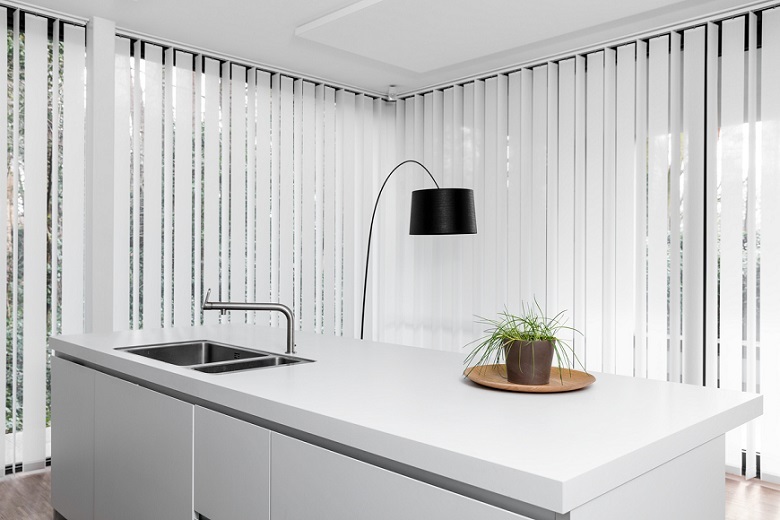 JASNO swings are more than just vertical blinds. The unique and original alternating rotation system makes this a typical JASNO product for use in your home. With our passion for perfection and eye for detail, we have breathed new life into the traditional louver blind. Recently presented with an iF Award and GIO Award for their distinctive design! 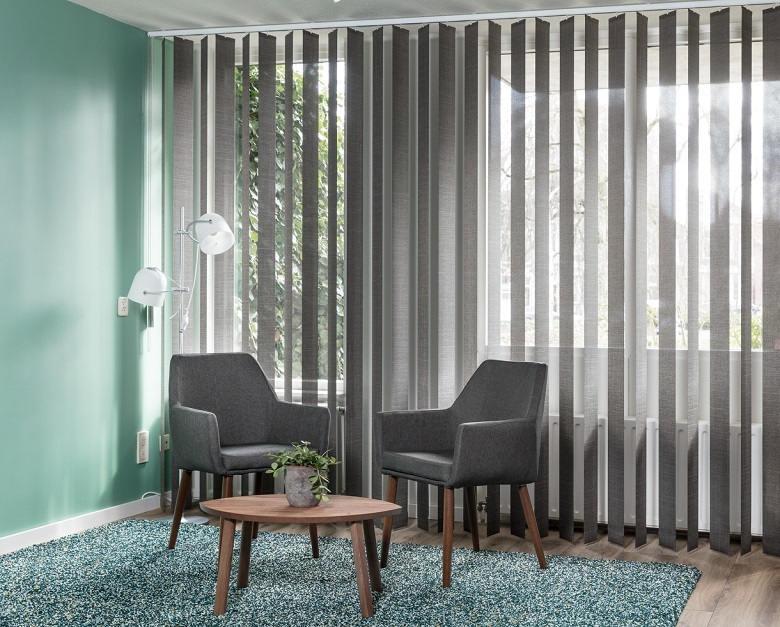 Select from an attractive range of trendy and basic interior colours and fabrics, or why not deliberately seek out contrast by selecting two different colour louvers that move alternately. This range of options means that just like our shutters, blinds and folding curtains, our swings are all made to measure. The price depends on the type of swings. For a tailor-made price quotation contact one of our expert dealers. The dealer will always visit your home to measure in your windows, so you are guaranteed good advice and perfectly fitted window covering. 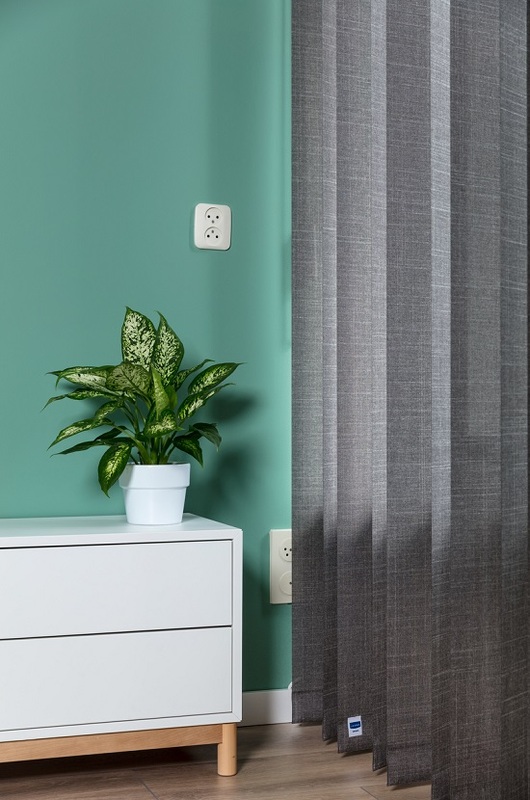 Where can I buy vertical blinds? Our swings are sold by dealers throughout Europe. Our custom window decoration can be viewed at the showroom of the dealer, who will be happy to provide any advice you need. As a pleasant bonus, the expert dealer will measure in the windows in your home and install the swings. 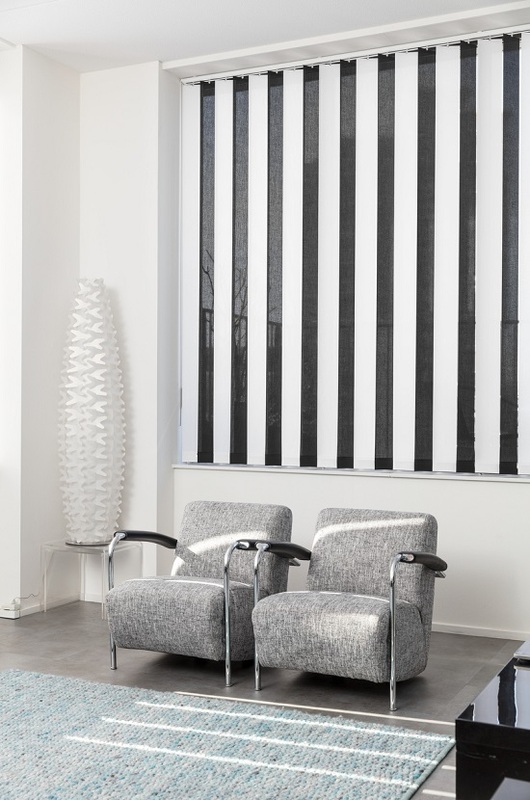 What kinds of vertical blinds are available? JASNO swings are available in a variety of transparencies and materials. So you can achieve the intended light effect and degree of privacy in any space, using our vertical louvers. For an extra eye-catching effect, try combining textile and plastic in 1 rail. Material: louvers produced from luxurious polyester fabric or plastic. Colours: 47 colours and patterns, from ivory white to deep black, from olive green through to silver. Louver widths: 89 or 127 mm. 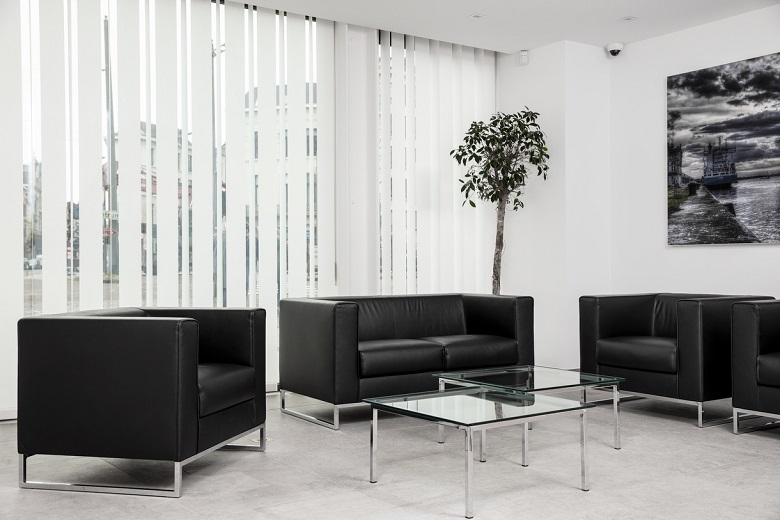 Privacy: available in 3 transparency options ranging from maximum privacy to maximum light incidence. Top rail: the rounded-off rail is available in 2 chic colours: matt white or matt aluminium. Swings are also available without the alternating twist system. Operating chain: a tough light-grey chain that matches any louver colour. Fitted with a child-safe break system that breaks open whenever pressure is applied. Cord: a pale grey cord for shifting the louvers left or right and fitted with a child-safe hanging system. If weight is applied in the loop, the support system cuts through the chain. Weight: a weight at the bottom of the luxurious polyester fabric louver guarantees that the flapping of the swings is kept to a minimum. The weight is wrapped in textile and the surrounding stitched seam results in a tough, solid look. 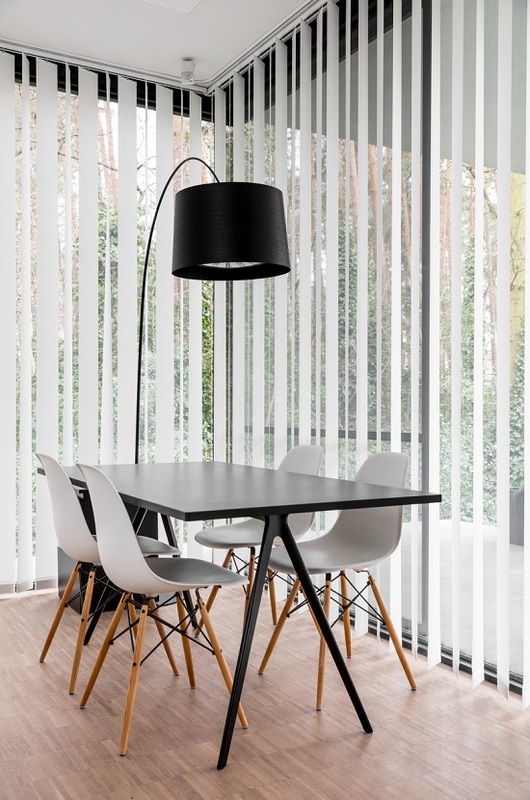 Tailor-made: the clean lines of these swings make them perfect for large windows, or for example sliding doors at home or at the office. Swings are also a fabulous addition to a hotel room or holiday home. Always tailor-made for every application. Dimensions: swings are available in heights of between 1 m and a maximum of 4m, and between 30 cm and 5.75m wide. The fabric louvers of our swings are produced entirely from trevira cs, and are available in the Urban and Sahara collections. The Urban collection creates a subtle light effect through the louvers. Choose from 8 different colours. Available in louver widths of between 89 and 127mm. Urban louvers are fire retardant. Fabric louvers can be cleaned with a vacuum cleaner with brush head on the lowest setting, or a Swiffer duster. 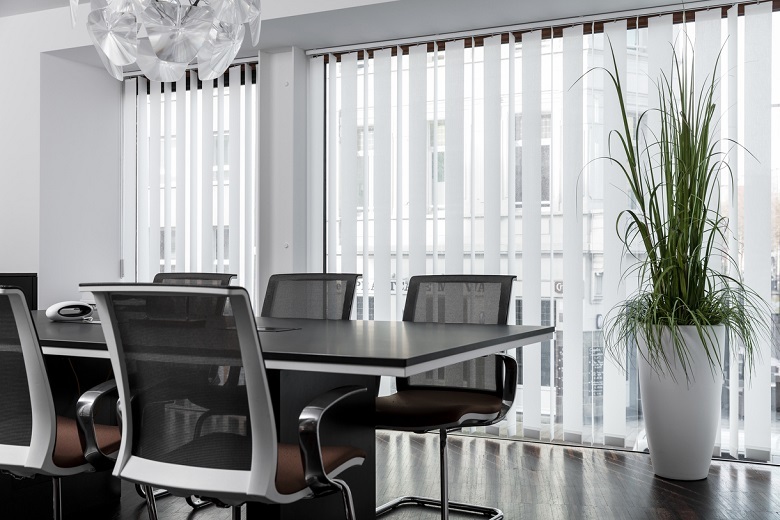 Sahara louvers keep out the majority of incidental light from outside. Select from 11 different clean colours. Sahara louvers are fire retardant. The collection of plastic louvers, known as the Petrol collection, is the highest blackout swing variant. Remember that in the alternating swing system, the louvers do not seal 100% so that strips of light may be visible between the louvers. Select from 28 different colours and patterns. In addition to 89mm-wide louvers, a number of colourways are available in 127mm width. The plastic louvers are fire retardant. 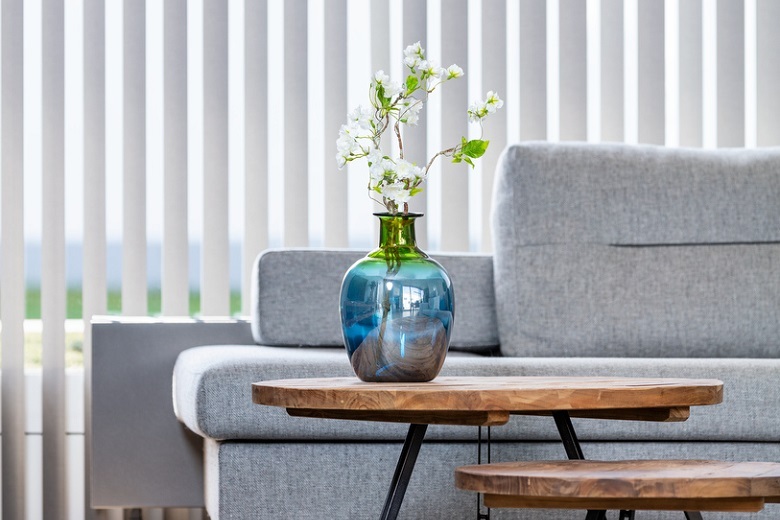 Plastic louvers can be cleaned with a vacuum cleaner with brush head on the lowest setting, a Swiffer duster or the occasional cleaning with mild detergent and water. Opting for JASNO means opting for sustainability, service and quality. Choosing JASNO means opting for sustainability, service, quality and comfort. We offer a two-year guarantee on the louvers and three years on the rail and plastic swing components. We are proud that JASNO swings are unlike any other vertical louver system! kunststof componenten van de swings.